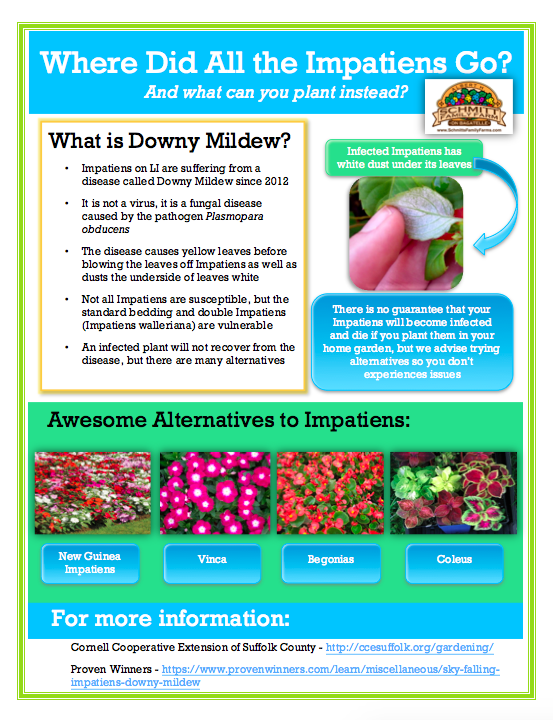 Find out more about how Downy Mildew impacted Impatiens on Long Island. We also provided some alternatives that you can plant in your garden instead! Since garden impatiens, Impatiens walleriana, have been severely impacted by a new downy mildew disease, growers, landscapers, and homeowners are seeking alternatives to this ubiquitous garden plant. Impatiens have been a reliable garden plant for many years due to their color choice, growth habit, price point, and shade tolerance. While it might seem challenging to find plants that will be a suitable replacement, there are many great plant selections that are viable substitutions. Don’t focus on the negative! 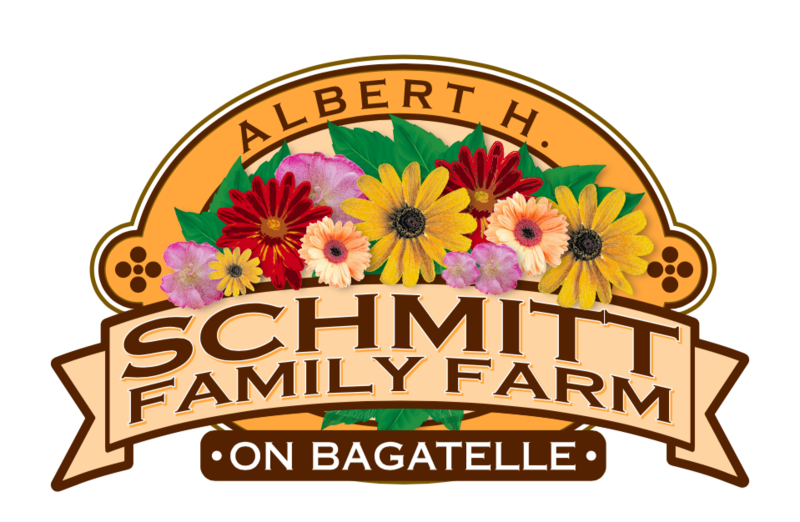 Use this opportunity to grow and promote different and exciting plants! It’s important to remember and to communicate that New Guinea impatiens are NOT susceptible to impatiens downy mildew. It is sometimes assumed by some that New Guinea impatiens is a sun plant. Yes, New Guinea impatiens perform better than garden impatiens in the sun, but New Guinea impatiens generally perform equally as well or better in the shade. Also consider hardy plants such as ajuga, heuchera, lamium, lysimachia, as well as various grass and grass-like plants. Don’t plant shade plants in the sun! For sunny sites recommend annual vinca, angelonia, petunia, geranium, marigold, zinnia, celosia, pentas, gazania, portulaca, and so on! This entry was posted in Garden Tips and tagged downy mildew, garden tips, impatiens, impatiens alternatives.